The Beemat ® Folding Gymnastic Incline Wedge is a multi-functional training aid and is the cornerstone of the professional gymnastic training course. 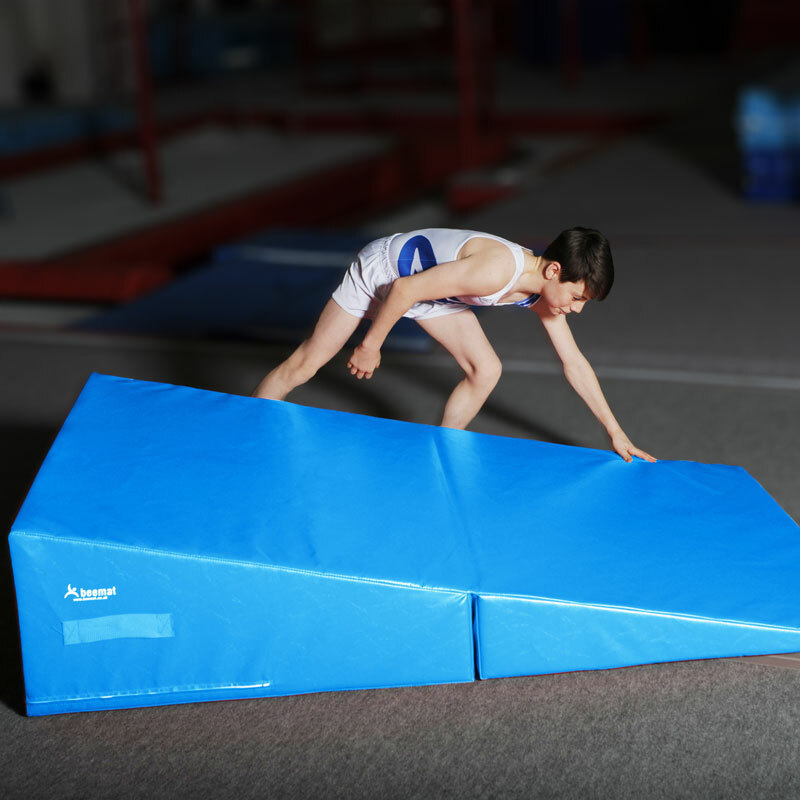 Its foldable shape makes it easy to put away for storage as well as being used for a training platform. Excellent for gymnastics, pilates, yoga and stretching. Used for cartwheels, backward rolls, forward rolls, handstand forward rolls, handspring and back flip progressions. Hook and loop fixings to secure when folded. Size unfolded 1.83m (72”) L x 1.22m (48”) W x 41cm (16”) H (incline wedge). Size folded 0.91m (36”) x 1.22m (48”) x 41cm (16”) (rectangular cube).